Dr. Wen Hua currently works as a Lecturer and an AQRF Fellow (Advance Queensland Research Fellow) at School of Information Technology and Electrical Engineering, the University of Queensland, Australia. From April 2016 to April 2017, she was appointed as a Postdoctoral Research Fellow at the University of Queensland. She received her doctoral and bachelor degrees in Computer Science from Renmin University of China in 2015 and 2010, respectively. 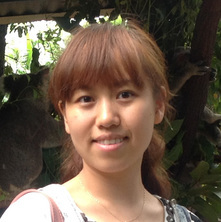 From July 2013 to June 2015, she participated in a joint PhD program between RUC and UQ, under the supervision of Prof. Xiaofang Zhou. From May 2012 to July 2013, she worked as a Research Intern in Microsoft Research Asia (MSRA) and her mentor was Dr. Haixun Wang. Her current research interests include natural language processing, information retrieval and extraction, data mining especially text mining, social media analysis, and sensor data analytics. She has published actively as the main author in reputed journals and top international conferences including SIGMOD, PVLDB, ICDE, TKDE, VLDBJ, IJCAI, CIKM, WSDM, WWWJ, etc. Hua, Wen, Huynh, Dat T., Hosseini, Saeid, Lu, Jiaheng and Zhou, Xiaofang (2012) Information extraction from microblogs: a survey. International Journal of Software and Informatics, 6 4: 495-522. Su, Y., Zhang, X., Yu, P.S., Hua, W., Zhou, X. and Fang, B. (2017). Understanding information diffusion under interactions. In: Subbarao Kambhampati, Proceedings of the 25th International Joint Conference on Artificial Intelligence (IJCAI 2016). 25th International Joint Conference on Artificial Intelligence (IJCAI 2016), New York, USA, (3875-3881). 9–15 July, 2016.